One size fits most teenage to adult women. Circumference to fit: 21 – 23 inches. 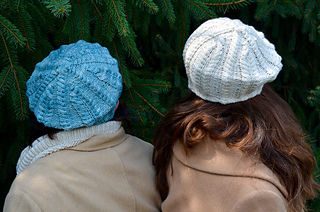 The Sabrina Beret features three different cables that are combined with reverse Stockinette stitch to create a classic and elegant beret. 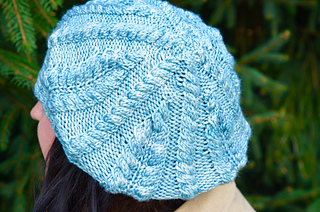 The smaller cables travel from the brim up to the center top of the hat, while the larger cables gradually dissolve to provide a gentle decrease. 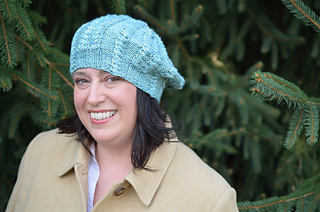 You can even mix it up by adding a pom-pom to the beret! 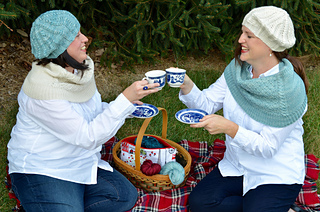 The Sabrina Beret and coordinated Sabrina Cowl are special collaboration designs created by Brownie Knits and A Knitter’s Life. 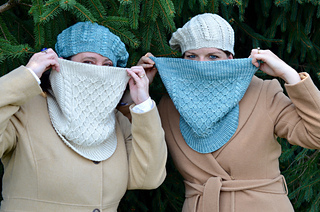 We are excited to release these patterns that were born out of friendship and our love of knitting cables. 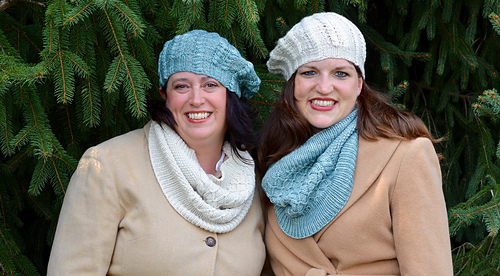 Be sure to knit both the Sabrina Beret by Gina of Brownie Knits and the Sabrina Cowl by Christina of A Knitter’s Life to achieve a complete stylish and knitted Parisian look. 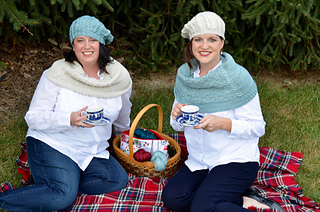 The Sabrina Beret is provided in both written and charted formats so that the knitter can knit per their preference. Acrylic/synthetic yarns are NOT recommended for the Sabrina Beret due to the blocking requirements. A yarn with loft is recommended.